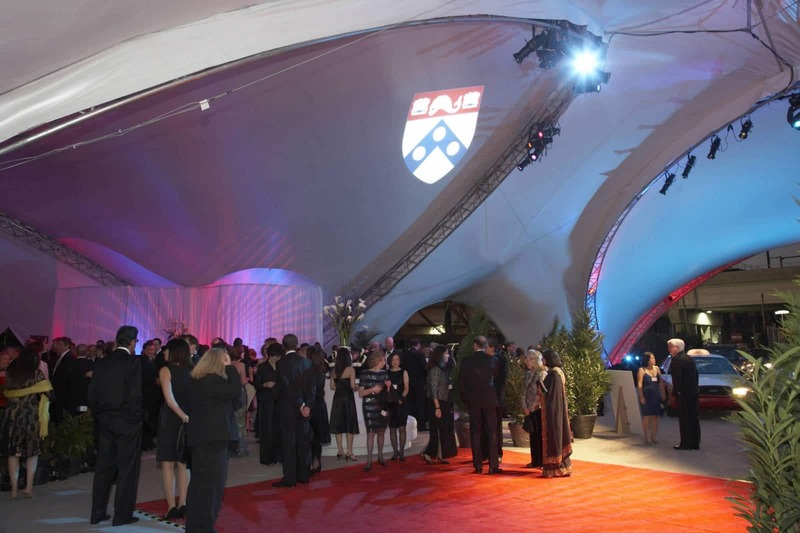 A great deal was on the line for the University of Pennsylvania as it began planning its gala fundraiser for an elite guest list of 1,800 people. It was essential for the prestigious Ivy League university to reduce as many unknowns as possible to ensure that the event ran without a hitch. Regal Tent took university officials on a tour of the event venue before it was held using the magic of virtual reality. We brought event designs to life in cyberspace, enabling the event team to see structures and interiors in action. This virtual tour enabled the fine tuning of the event location and tenting requirements which saved money and eliminated headaches before the event occurred. 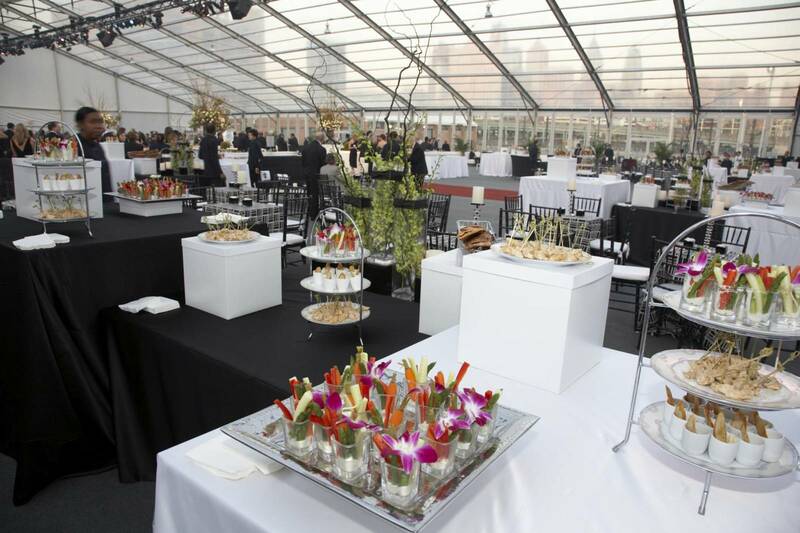 The final structure consisted of over 100,000 square feet of tenting and featured three Arabesque saddle-like tents for the valet area. Glass walls showcased the stunning views of the campus and the bordering Schuylkill River. 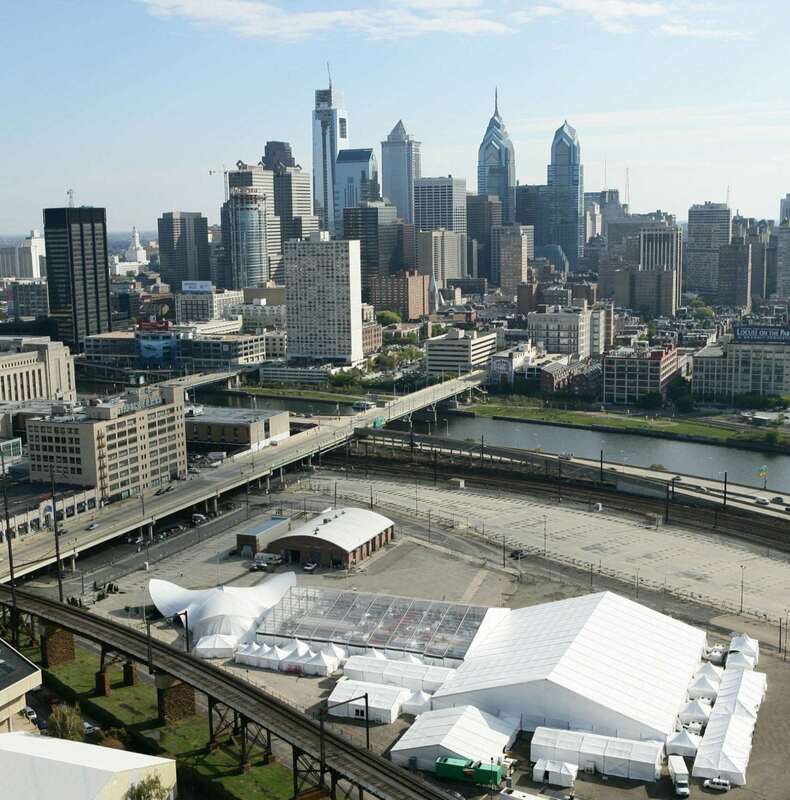 The final product was a stunning structure that met University of Pennsylvania’s tenting requirements perfectly. Ancillary Tents for washrooms, catering etc.